The primary objective of this project is to gather information and analyze socio-cultural elements that comprise the developing native-born American Muslim hybrid culture. In the United States, the evolution of a cultural construct involves integrating a myriad of factors including faith (or lack thereof), gender, and national identities. 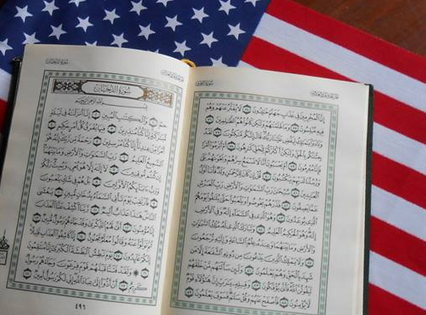 I intend to concentrate my studies on Muslims in America, who represent a hybrid culture with an evolving, unique construct; wherein, two seemingly diametrically opposed paradigms, the secularized democracy of America and the religion of Islam, are merged. Within this group, there is a growing population, either through conversion or birth, of native-born African-American, Euro-American, and Latino-American Muslims, for whom their faith and nationality play significant roles in their cultural make-up. They demonstrate a distinctive, emerging culture that is often miscategorized or simply ignored. 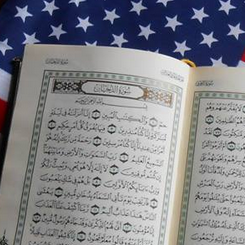 The dynamics of the native-born American Muslims [NbA Muslims] hybrid culture is complex. There are a variety of socio-cultural topics that warrant in-depth academic investigation. For example, many NbA Muslims belong to multi-religious families. Consequently, there are various familial situations such as family reactions to conversion as well as interacting with the family while maintaining an Islamic ethic. Additionally there are social concerns such as interfaith communal dialogue, gender relations and roles, community involvement, racism, contact with the immigrant Muslim population, and artistic expression. Because of the multifaceted nature of this demographic, I plan on focusing my research and final project on NbA Muslim women authors. This group of the NbA Muslim culture offers me the opportunity to explore the histories of each NbA Muslim subgroup (African-American, Euro-American, and Latino-American), and how their unique American experiences and Islamic observances influence them and, ultimately, their artistic expressions.